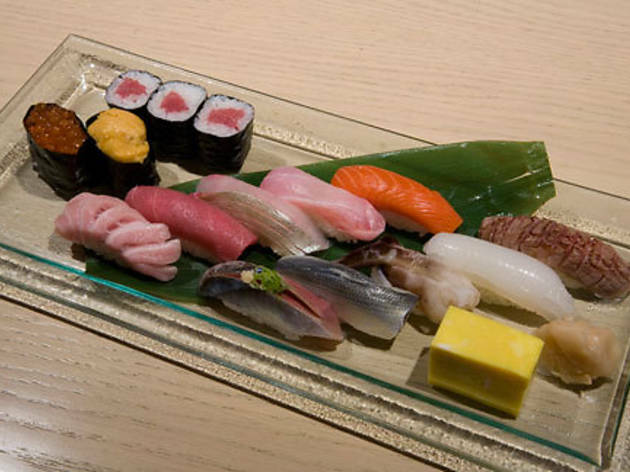 When you arrive at Sushi Azabu’s address, you’ll initially curse Apple Maps for steering you astray. 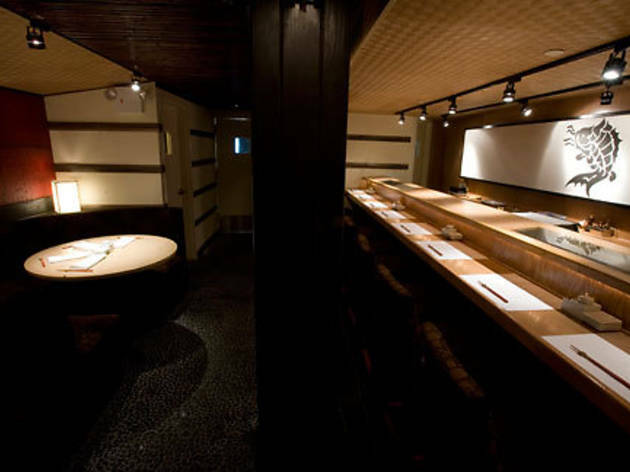 Alas, you’re at the right place—hidden in the basement of Tribeca’s unassuming Greenwich Grill lies this Michelin-starred sushi speakeasy, which opened in 2008. 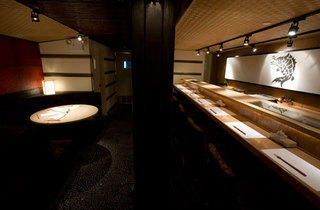 The subterranean lair rightfully prides itself on its adherence to Japanese sushi standards—more than 70 percent of the fish is imported directly from Japan, four times a week; soy sauce is house-made, infused overnight with mirin, kelp and dried bonito; and even chopsticks are diligently sourced from Hokkaido. 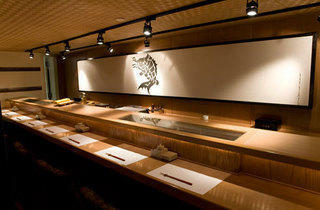 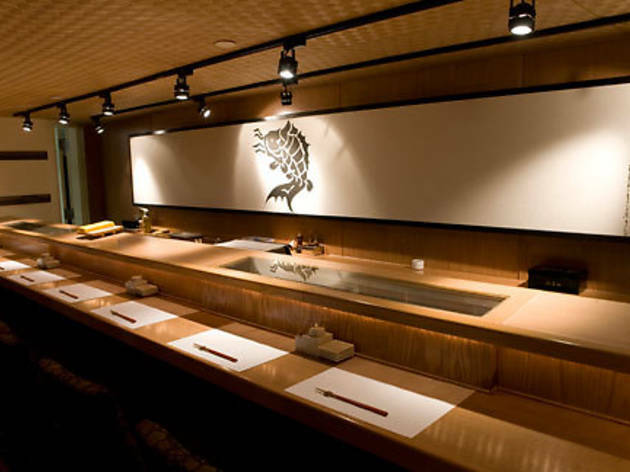 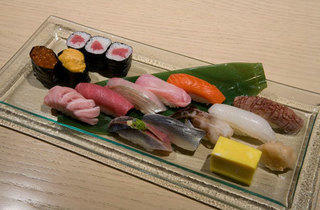 Japanese businessmen snag coveted seats at the nine-seat chef’s counter for edomae-style sushi, an old-school technique in which fish is salted and cured to keep from spoiling. 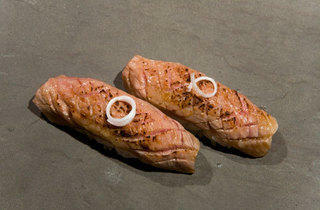 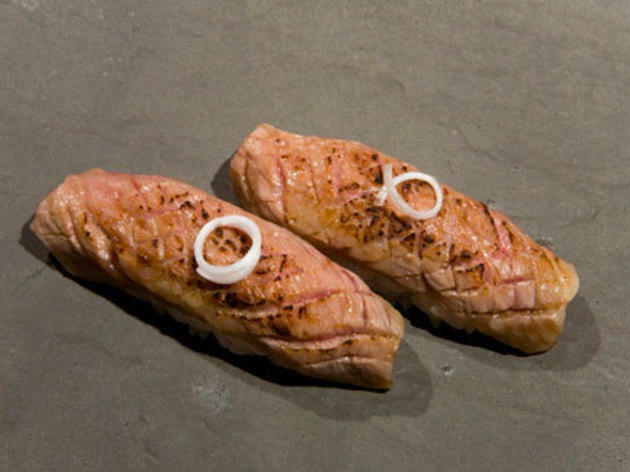 As tradition-minded as Kuruma, this hideaway lets the food speak for itself: A slice of salmon is seared to heavenly heights, with a flaky crust and slight glaze courtesy of a quick blowtorching, fatty meat still raw underneath.